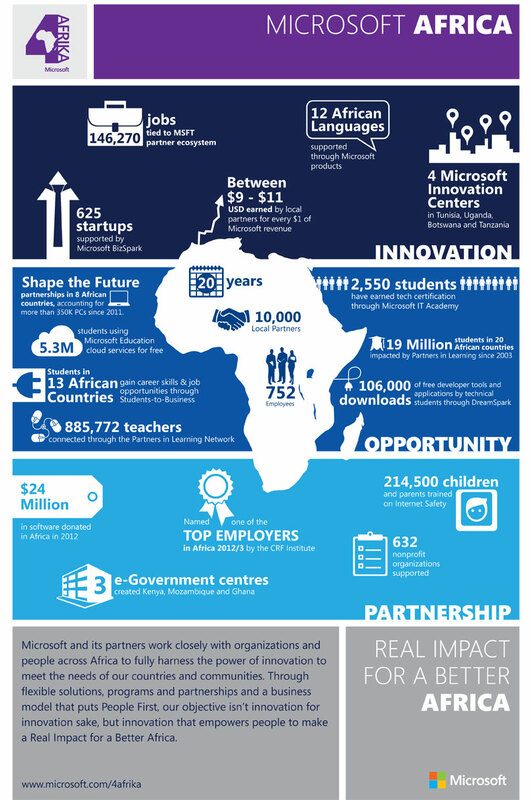 Microsoft announce the 4Afrika project: Everything you need to know! Please excuse us for starting this post in a slightly philosophical manner, but it's not every day that we spot something like this. In a world where big business in the West, and indeed the East now, is driven by how many billions worth of profit can be counted at the end of a financial year, it's always refreshing and warming to see a fraction of this money being reinvested in things which help countries which don't necessarily have the things we do as we sit comfortably on our beds or office chairs and read this. We know that Microsoft has done this for their own future gain, but that doesn't wholly detract from the benefits of the project we're about to describe. 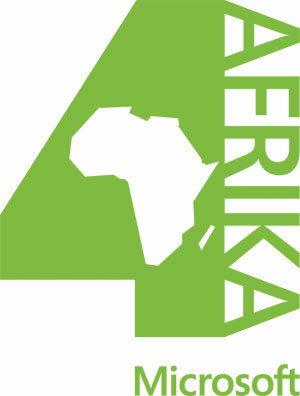 Yesterday Microsoft announced the 4Afrika project. The ultimate goal of the work is to "improve the continent’s global competitiveness" and the goals are lofty. By 2016, the 4Afrika Initiative is seeking to have helped "place tens of millions of smart devices in the hands of African youth, bring 1 million African small and medium enterprises (SMEs) online, upskill 100,000 members of Africa’s existing workforce, and help an additional 100,000 recent graduates develop employability skills, 75 percent of which Microsoft will help place in jobs. In doing these things, we believe we can help ignite African innovation for the continent and for the world." innovation for the continent and for the world." Microsoft aren't being silly here, Africa is the last real place left in the world which is under-developed. Africa is a continent which is home to more than a billion people, there's 16 of the 30 fastest growing economies there and as Microsoft put it "We believe there has simply never been a better time to invest in Africa and in the African people. We view the continent as a game changer in the global economy. We believe deeply in the potential of technology to change Africa, but we believe equally in the potential of Africa to change technology for the world." Well there's a few 'key undertakings' which Microsoft's initiative features and a whole host of smaller goals too. Lets start with the biggest two and go from there! This is what Microsoft has described as the "first critical step toward accelerating the adoption of smart devices" in Africa. 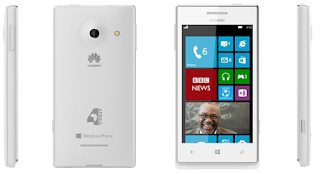 Essentially Huawei will be producing a device running Windows Phone 8 which will be preloaded "with select applications designed by Africans, for Africa." 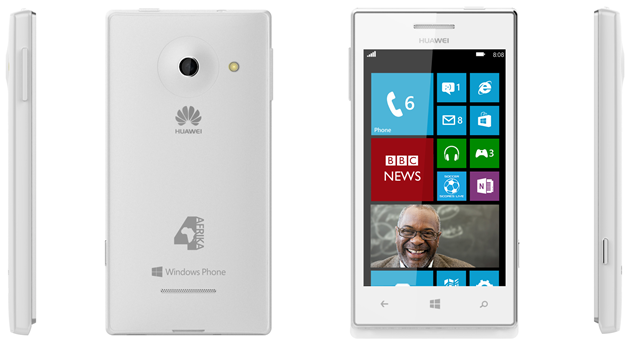 Essentially this is a rebranded Huawei W1 Windows Phone. It sports a 4-inch 480 x 800 display, dual-core 1.2 GHz Snapdragon processor, front and rear-facing cameras, and 4GB of internal storage. One of the key features is the claimed stand-by time which is rated at a mammoth 420 hours! That works out to slightly more than two whole weeks! The phone will be available at the end of the month in Angola, Egypt, Ivory Coast, Kenya, Morocco, Nigeria and South Africa. If you're after more in-depth details about the phone then you can check out the full details on the Windows Phone Blog here or the press release here. It's interesting that Huawei are the first people to get involved in this project officially. Their website outlines some of their success on the African continent already. The company earned $3.42 billion from Africa in 2011 and there's a 15% growth rate year-over-year. The company already has more than 5,800 employees across 18 offices and 60% of them are locally recruited. Their portfolio also includes an R&D centre in South Africa and 7 training centres located in Angola, Democratic Republic of the Congo, Egypt, Kenya, Morocco, Nigeria and South Africa. 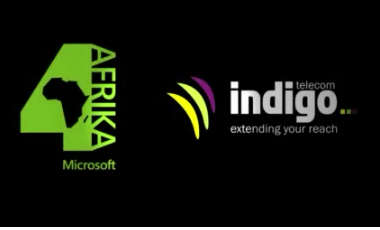 For the 'White Spaces Pilot' Microsoft has teamed up with the Kenyan Ministry of Information and Communications and Kenyan ISP Indigo Telecom. 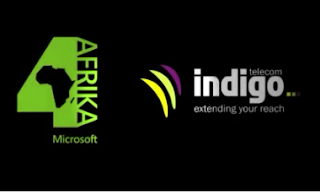 Essentially the project will see Microsoft offering "low-cost, high-speed, wireless broadband to Kenya as part of a pilot project called “Mawingu,” which is Kiswahili for cloud." The service will hopefully offer "new opportunities for commerce, education, healthcare and delivery of government services." The first location to be served by the project near Nanyuki will cover five institutions with internet access; Burguret Dispensary (healthcare clinic), Male Primary School, Male Secondary School, Gakawa Secondary School and Laikipia District Community Library hopefully aiding education and business progress at the same time. The initiative if successful will hopefully lead to a wider roll out of solar-powered base stations working within TV white spaces to areas currently lacking even basic electricity. Hopefully this project will bring some much needed infrastructure to these areas too! Microsoft's full press release is available here and an interesting commentary on the project from Redmond's finest is available too! In the huge list of ultimate aims, which can be found here or here, Microsoft has some smaller projects of considerable note. One of the most the most interesting is the North African Female empowerment portal which seeks to "empower young women to play a leadership role in their communities, build their skills and self-esteem, and introduce new models for self-employment." The project launches in March as an branch of the MasrWorks IT skills portal and the key aim is to "provide IT skills training and softer-skills training on topics including leadership, self-confidence and interviewing, as well as the mentorship needed to build a long-term career in technology." The service will be run through a collective effort between Microsoft and their partners, as well as local non-governmental groups! The Afrika Academy is similar, but it will be more of an "educational platform, leveraging online and offline learning tools, to help Africans develop both technical and business skills for entrepreneurship and improved employability." The training will be offered for free to higher-education graduates, government leaders and the Microsoft partner community. On a more profit orientated note there are plans to increase Nokia and Windows Phone adoption in Kenya and Nigeria with user training from Safaricom in Kenya and Bharti Airtel in Nigeria to help drive Nokia Lumia 510 and Nokia Lumia 620 Windows Phones. This will help to drive smartphone adoption which is currently around 10 percent in these countries. That's pretty much it folks, but check out the introductory video and the infograph below just to round out the whole picture! 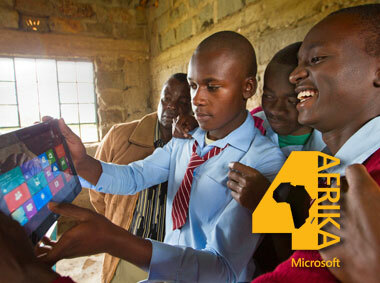 For much more information don't forget to visit Microsoft's website on the 4Afrika Project!